Exciting news from the Club - from the 1st April 2018 the onsite gym will become part of the operations of the Club and members will be members of the HBPRC. 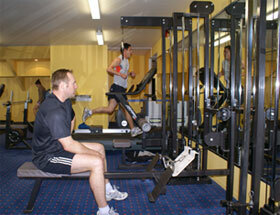 The gym will be less expensive, with longer operating hours and offer special discounts to for Club members. To arrange your membership please stop by the office, or call 09 376 0681 , or email service@hernebayrackets.co.nz . If you are an existing member please come and register your details at the office to ensure your security access remains and change your payment to be directly to the Club. Access to classes and approved Personal Trainers. 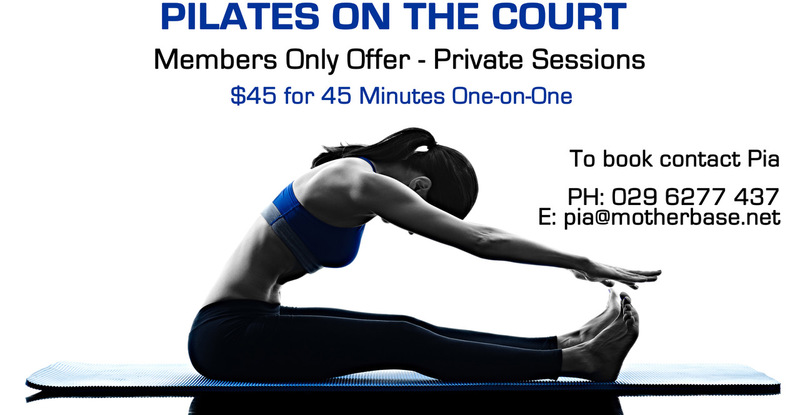 Pia holds Pilates Mat Classes on Squash Court 1 every Monday and Thursday morning at 9:30am. She has been trained through Polestar Pilates NZ and has been practicing for 7 years. Pilates is a full body exercise that will strengthen and balance your body. It is for everyone, including elite athletes, the injured, seniors, pregnant women and everyone in-between. All will be catered for in the class. Simply text or call Pia for more information or to book your place in the class on 029 6277 437 email pia@motherbase.net.